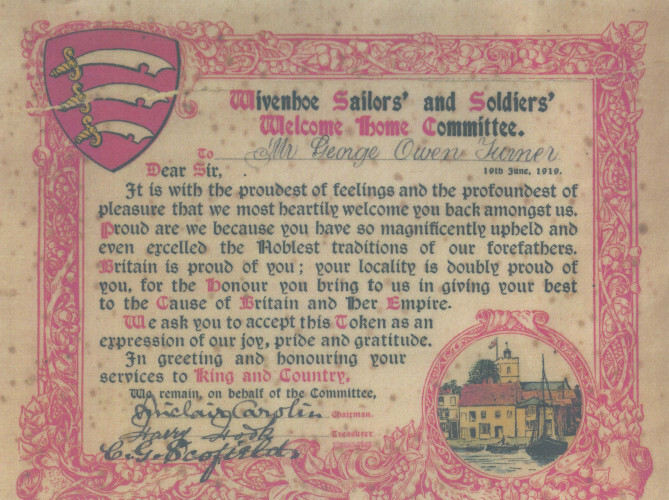 The Certificate presented to George Owen Turner on his return from service in WW1. 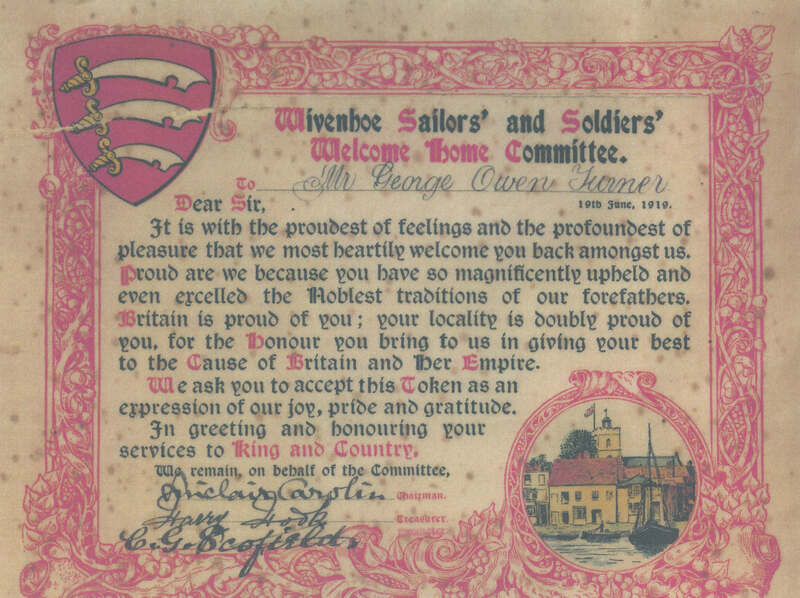 George Turner served in the 5th Battalion of the Essex Regiment. Dear Sir, It is with the proudest of feelings and the profoundest of pleasure that we most heartily welcome you back amongst us, proud are we because you have so magnificently upheld and even excelled the noblest traditions of our forefathers. Britain is proud of you; your locality is doubly proud of you, for the honour you bring to us in giving your best to the cause of Britain and her Empire. We ask you to accept this token as an expression of our joy, pride and gratitude. In greeting and honouring your services to King and Country. We remain, on behalf of the Committee, and signed by the Rev Sinclair Carolin as Chairman, Harry Hook, as Treasurer and C. G. Scofield as Promoter. This page was added on 02/01/2017.